With Rob Cowan. Including My Favourite Hollywood Film Scores; Music in Time: Wolkenstein; Artist of the Week: pianist Clifford Curzon, featured in Liszt's Piano Sonata in B minor. My favourite... Hollywood film scores. Rob takes a trip to the cinema as he shares his favourite scores from the golden age of Hollywood. The showreel includes classics such as Max Steiner's soundtrack to Gone with the Wind and Erich Korngold's The Sea Hawk, as well as Bernard Herrmann's iconic shrieking strings accompaniment to Hitchcock's horror movie Psycho. 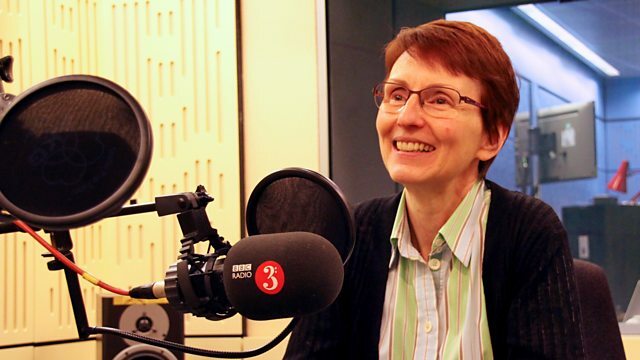 Rob's guest is the astronaut Helen Sharman. Helen Sharman made history when she became the first Briton in space in 1991. Helen's space mission came about after she heard a radio advert for an astronaut whilst working as a research chemist. She beat over 13,000 other applicants to become a crew-member on the eight-day mission. Throughout the week Helen will be reflecting on her trip into space twenty-five years on, talking about life after the mission and sharing a selection of her favourite classical music, including works by Liszt and Haydn, and Tchaikovsky's Swan Lake, which she first saw during astronaut training in Russia. Rob places Music in Time as he heads back to the late Medieval period, looking at one of the most important German composers from this time: Wolkenstein. Rob's artist of the week is the British pianist, Clifford Curzon. A pupil of such distinguished figures as Artur Schnabel, Wanda Landowska and Nadia Boulanger, Curzon was praised for his grace and poise at the keyboard. He specialised in music from the Classical and Romantic periods, especially from the Austro-German tradition, and this week, Rob features some of the pianist's most celebrated recordings, including piano sonatas by Brahms and Liszt, piano concertos by Mozart (K.488) and Beethoven (No. 5 'Emperor') and Schubert's ever-popular 'Trout' Quintet. Performer: Catherine Cantin. Performer: Maurice Bourgue. Performer: Michel Portal. Performer: Amaury Wallez. Performer: André Cazalet. Performer: Pascal Rogé. Performer: Mats Lidström. Performer: Bengt Forsberg. Performer: Gary Cooper. Ensemble: Avison Ensemble. Performer: David Oistrakh. Performer: Igor Oistrakh. Performer: Crawford Young. Singer: Andreas Scholl. Wolkenstein, Songs of Myself: Andreas Scholl. Singer: Kathleen Dineen. Singer: Andreas Scholl. Ensemble: Shield of Harmony. Director: Crawford Young. Singer: Andreas Scholl. Ensemble: Shield of Harmony. Director: Crawford Young. Orchestra: Chicago Symphony Orchestra. Conductor: Morton Gould.